The Word is Art by Renee Troy: Just Sold! 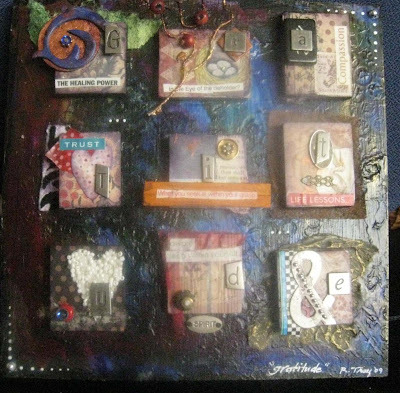 The piece I created in Karen Michel's class at Art Unraveled has already sold at Ten Women Gallery Venice.....Yeah! Congratulations, Renee! I love that gallery! Are you one of the ten women, or do they take others' work?